St. Henry District High School's FIRST Tech Challenge team, Cru-Botics, is holding a presentation at the Main Branch Library in Boone County Kentucky. We will have two different robots that attendees can both drive and watch, as well as lots of information about both our team and FIRST Tech Challenge robotics. 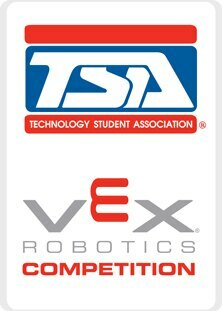 The competition will be in accordance with the TSA VEX competition guidelines on the REC Foundation Web site, http:/www.roboticseducation.org/vex-robotics-competitionvrc/tsa-vex-robotics-competition/. Due to the potentially small number of middle school teams and space/time requirements, middle school competitors will not have their own contest. MS teams are welcome to compete with HS if KYTSA allows. The four VEX categories of events to be offered during the 2014 KYTSA VEX Championship are as follows: 1. Programming Skills Challenge - Teams will have the opportunity to complete three trials of the programming Skills Challenge and their scores will be recorded. Teams will be ranked according to their highest score. 2. Robot Skills Challenge - Teams will have the opportunity to complete three trials of the Robot Skills Challenge and their scores will be recorded. Teams will be ranked according to their highest score. 3. Head-to-Head VEX Competition - Teams will be ranked using their combined top skills Challenge scores and the top teams will engage in a one-on-one Toss Up elimination match tournament to determine the champion. 4. Excellence Award - 1st Place Trophy. Bluegrass Educational Technologies will award the top three Head-to-Head competitors with an additional prize.